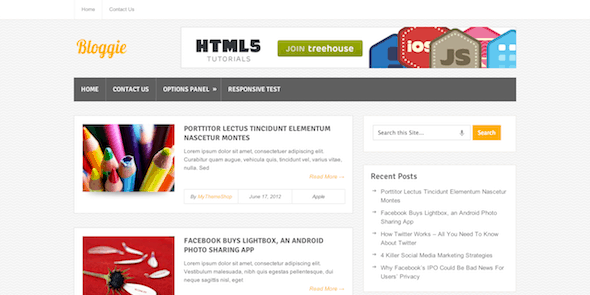 OnePage Lite – Free WordPress Theme is a single page theme with a perfect multi-sections homepage. 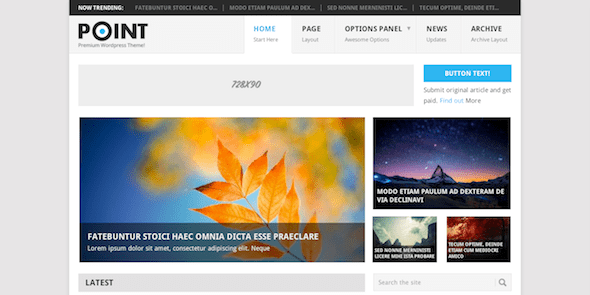 OnePage lite is an elegantly designed 100% FREE WordPress theme that has a beautiful Homepage that features portfolio, services, clients, testimonials, contact, counter, widgets and blog sections. It is 100% responsive with a fluid layout and excellent SEO features. 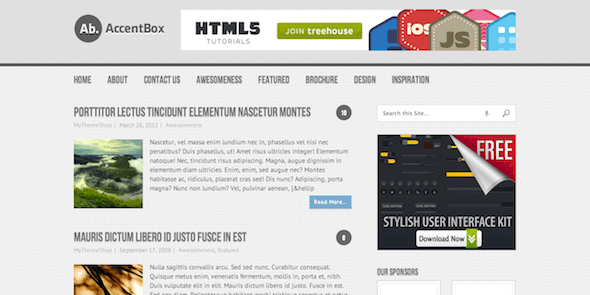 It has a stylish full-width slider on the homepage with two strategic call-to-action buttons. 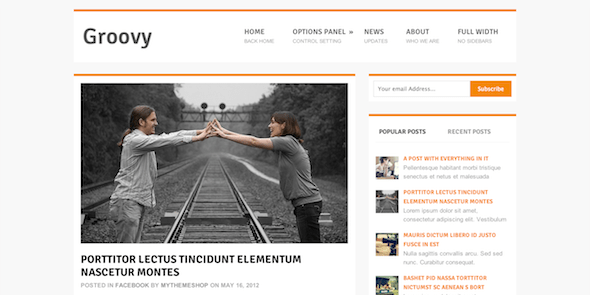 This theme is the lite version of one of the most popular premium theme i.e. ‘OnePage’. 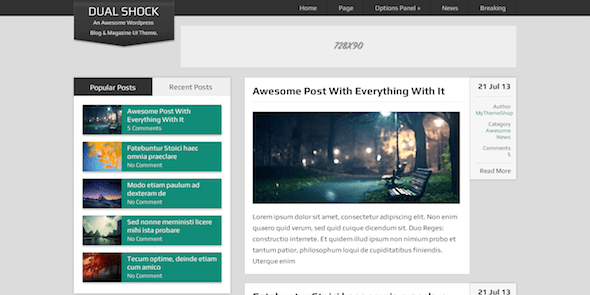 This theme is clean coded with a powerful framework and fast load speed. Musical – Free WordPress Theme is an aesthetically accomplished entertainment theme that is fit for a broad range of show business. It is incredibly flexible allowing you to create a custom entertainment website from scratch. Entertainment bloggers, musicians, music bands and DJs can use Musical theme to create a stunning site. It comes with numerous customizable features and powerful options that allow you to create a vibrant entertainment site. 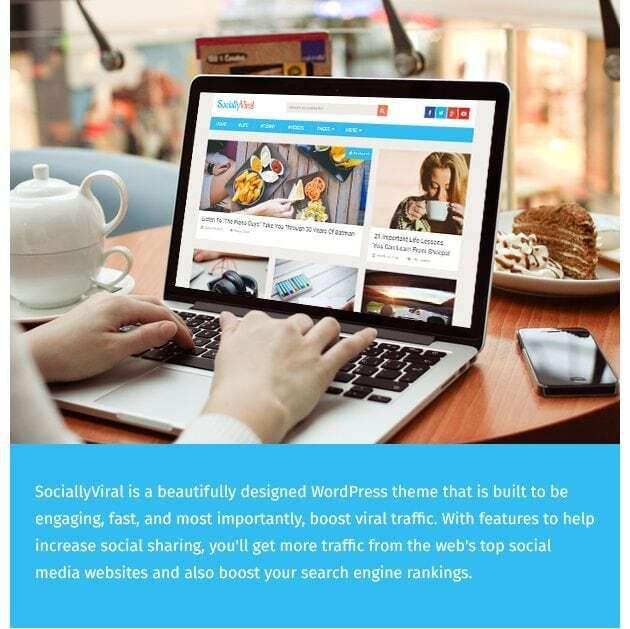 SociallyViral Free WordPress Theme is a beautifully designed WordPress theme that is built to be engaging, fast, and most importantly, boost viral traffic. With features to help increase social sharing, you’ll get more traffic from the web’s top social media websites and also boost your search engine rankings. Highly Unique Grid-Based Free WordPress Theme! We believe in serving nothing but the best. So even though AccentBox is a free theme, its features and design can put any premium theme to shame. With its elegant design and powerful features, AccentBox will top the downloading charts. 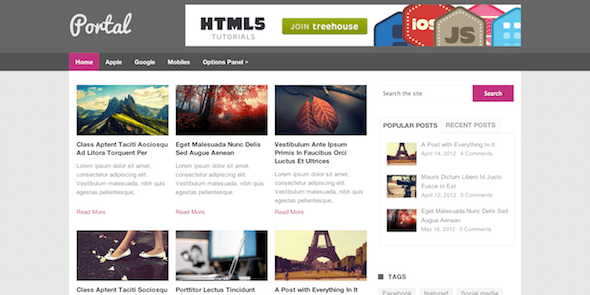 This HTML5 theme by MyThemeShop is made fully responsive to make sure your blog look awesome in any case. 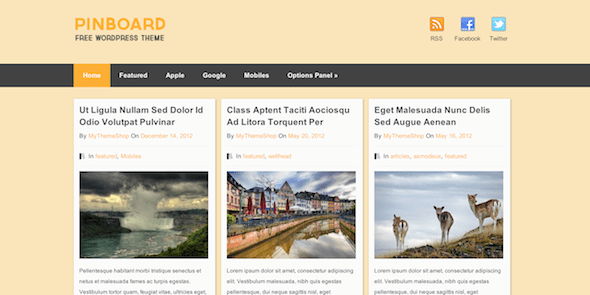 Bloggie is a free WordPress theme in the standard blog structure. 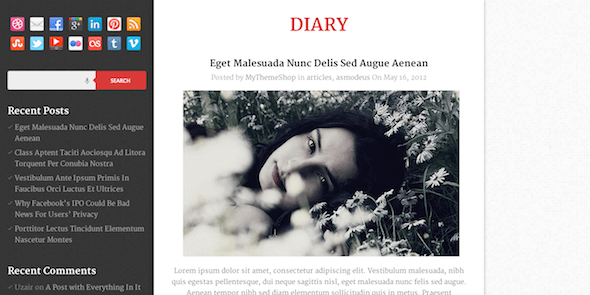 The theme is designed specifically to get users to read your posts, and to turn one visitor into multiple pageviews using the sidebar widgets and the related posts option. Plus, did we mention that it’s free? 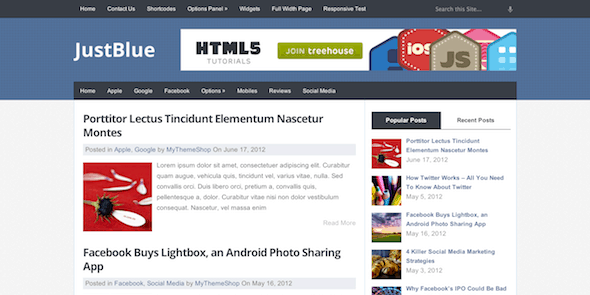 JustBlue is a free theme released by MyThemeShop. 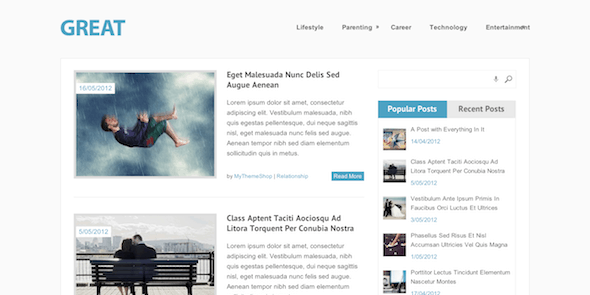 A standard blog style theme, JustBlue brings premium functionality for free, with the ability to customize settings using the options panel, and the included custom widgets, and it’s a responsive theme. 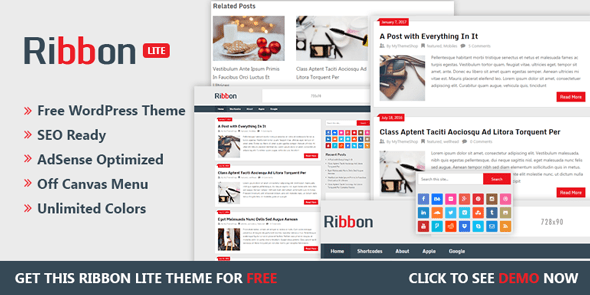 Ribbon theme is a 100% free WordPress theme by MyThemeShop that is highly versatile and fit for use in multiple blogging niches. It is skilfully developed with excellent SEO features and lightning fast speed. 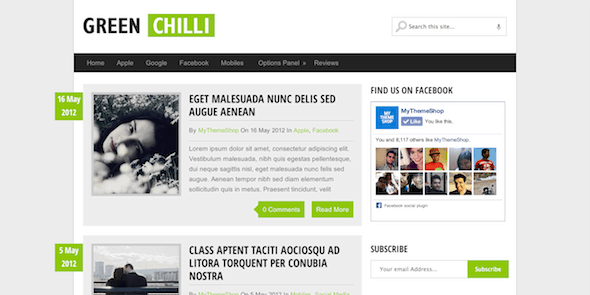 It is also fully responsive with an attractive display of content across all screen sizes and modern browsers. 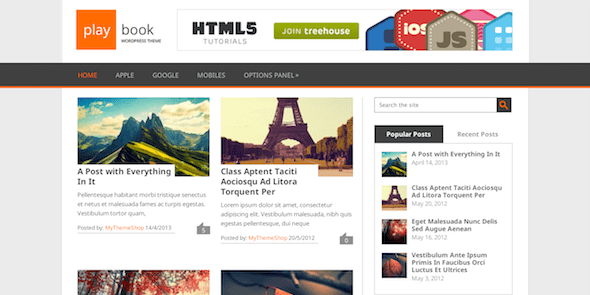 DualShock is a 100% free, dual purpose blog and magazine UI theme by MyThemeShop. It features our best features including our options panel, custom widgets, translation-ready functionality and search engine optimization. With a unique layout including sleek post meta information box, DualShock is a must-have theme, and best of all, it’s free.